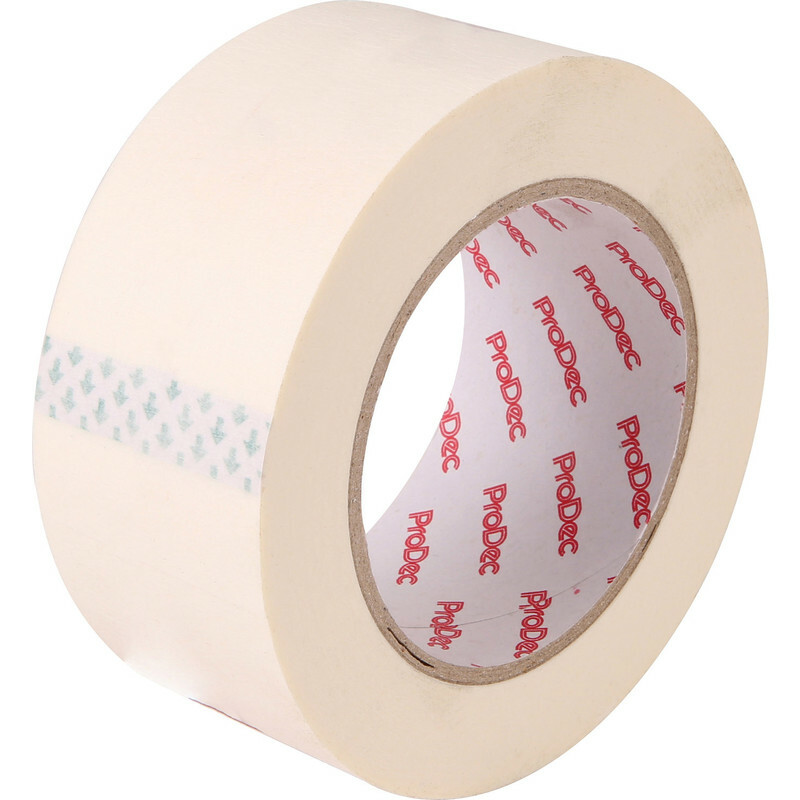 Prodec Low Tack Masking Tape 50mm x 50m is rated 3.9 out of 5 by 35. Rated 3 out of 5 by Sidafl from Low tack? I haven't the most diverse experience of masking tape but had found it stripped away the gloss from the wood of a door frame, other gloss areas didn't seem to get affected though so its hit and miss. Working with the tape it did feel incredibly adhesive; particularly peeling it off after a few days and it sticking to me. I definitely wouldn't recommend its use on anything other than wood. If it were between this and paying 2-3x more for a more expensive brand, I would probably make do with this.